EasyWater was founded on the idea in that a homeowner’s water can be safely treated without chemicals. Now, over 25 years later, EasyWater provides its clients, residential or commercial, with innovative water treatment processes using natural elements. Their main treatment is EasyWater’s signature No-Salt Water Conditioner. Traditional water treatment options use salt to remove calcium and other minerals. While this method does get the job done, it just replaces those minerals with sodium. EasyWater’s method is salt-free so treatment of your water will not add anything unwanted. This method also makes sure to not remove calcium since it is such an essential part of our diets. EasyWater also utilizes Coconut Carbon as an innovative, new material for water filters. A typical water treatment method is filtering through a coal-based filter. Coconut carbon is a safer and more effective material than coal for filtering out potential toxins in water. It also last much longer than the standard filter. Air is another one of their treatment methods, using Iron Shield+ and Toxin Guard to remove foul odors and protecting your sinks and other iron-based appliances from rust. The air oxidizes iron inside the tank to prevent these rust stains. Ozone (O3) is used in Iron Shield’s process as well. O3 cleans the filtration and prevents the growth of malicious bacteria. Ultraviolet light is another safe and effective method for water treatment. These rays are used in EasyWater’s Bacteria Shield that eliminates bacteria and other potentially harmful pathogens. 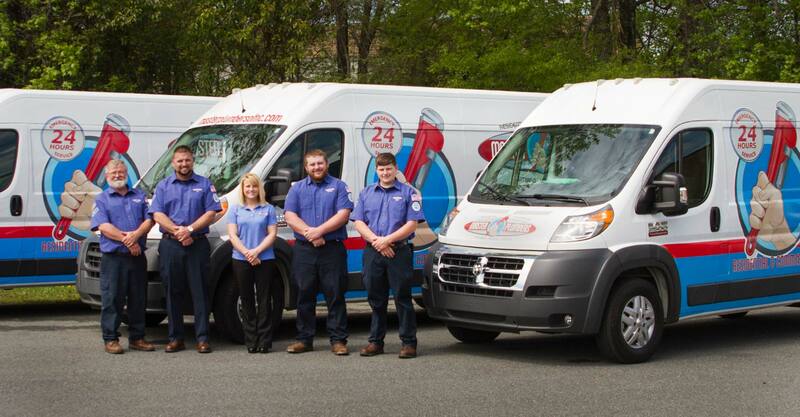 Master Plumbers of North Carolina is a proud rep of EasyWater and uses their innovative water filtration systems technology to give our customers clean drinking water. To learn more about EasyWater visit their website here.